In 1969, BRS Dental began as a generic service bureau processing month end statements. Clients in the healthcare industry became its most important customers group; the largest was the anesthesiology department of Long Island Jewish Hospital. 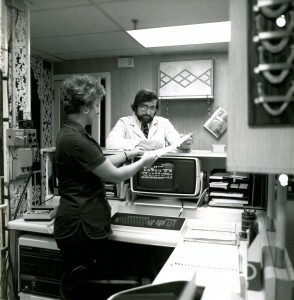 By 1976, information technology advances made it feasible to put minicomputers in doctors’ offices, enabling BRS to shift its focus to private practices. The first in-office program was called Dental Office Manager or DOM for short. 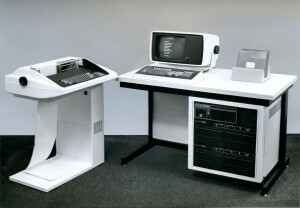 It ran on Data General minicomputers and had two features: patient statements and insurance claims. Three dentists, Robert Bruskin, Richard Weledniger and Ralph Curcio helped BRS by suggesting dental software program features most needed by dental practices. This began the BRS tradition of listening to dental professionals and proactively addressing dental industry needs. Today, nearly all the features of the DOM dental software program originated from the suggestions and criticisms of dental practice customers. By 1982 declining minicomputer prices began to drive down the costs of data processing. Leased telephone lines, previously affordable only by large corporations, now came within the reach of smaller businesses. Modems (a device used to transmit digital information over a telephone line) broke through the 1200 baud barrier (the speed of the typical broadband internet connection to your home is more than 8,000 times faster). A large multi-location practice in New England asked BRS to consolidate patient records into one database and connect its several offices by telephone lines in order to easily produce daily reports of activity by office location and the total for the practice. Most dental software programs available to small organizations at that time could connect office computers by phone lines, but separate databases limited their reports to one location only. The introduction of the Windows operating system in the early 1990’s made relational databases available to small companies and permitted users to produce reports and letters many times faster than previously possible. Citrix Systems, Inc. introduced communications technology to connect remote offices using moderately-priced, leased digital data lines, which significantly reduced the costs associated with scheduling and data access in “real time”. Patient data and schedules of any office, was viewable immediately from any workstation located in any office in the network. 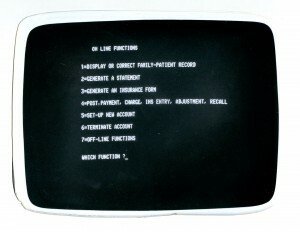 At the end of the 20th century, smaller computers and advanced networking technology allowed dentists to bring computers into treatment rooms and to attach clinical devices such as digital x-ray sensors and high resolution intra-oral cameras. As the Internet became available, more dental practice administrative tasks were assigned to others; for example, electronic dental insurance claims, printing and mailing month end patient statements and patient recare reminders. 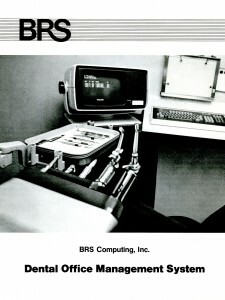 Barry Schoenhaut and Steven Tomback, two engineers who worked together at Computer Sciences, a defense contractor, and Roy Hardin, a systems analyst, founded BRS Computing, Inc. In the early ‘80s, key employees, James St. John, Chief Technology Officer and Randall Smith, Director of customer service, joined the company. They continue on as officers of and equity holders in the successor company BRS Systems LLC. This new company, owned by an investment group led by Joseph T. Blumstein, President, purchased BRS Computing’s business in November 2000. The company continues the leadership mission of anticipating the clinical and management needs for information technology in dental practices both large and small.